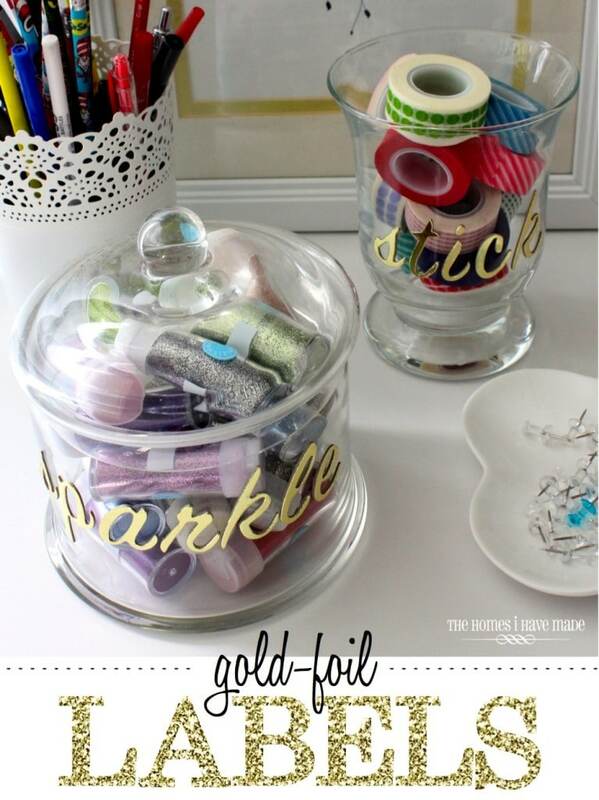 So I am prone to making things, especially DIY/craft projects, a little more complicated than they need to be. Anyone else with me on this one? For some reason, my mind is often able to come up with a method for a desired outcome pretty quickly, but it usually involves way too many steps and materials than are actually required. 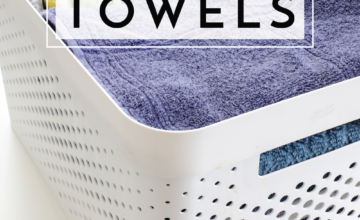 This teeny-tiny project I am showing you today had the potential to be somewhat complicated and tedious, but turned out to be so easy I couldn’t believe my luck! 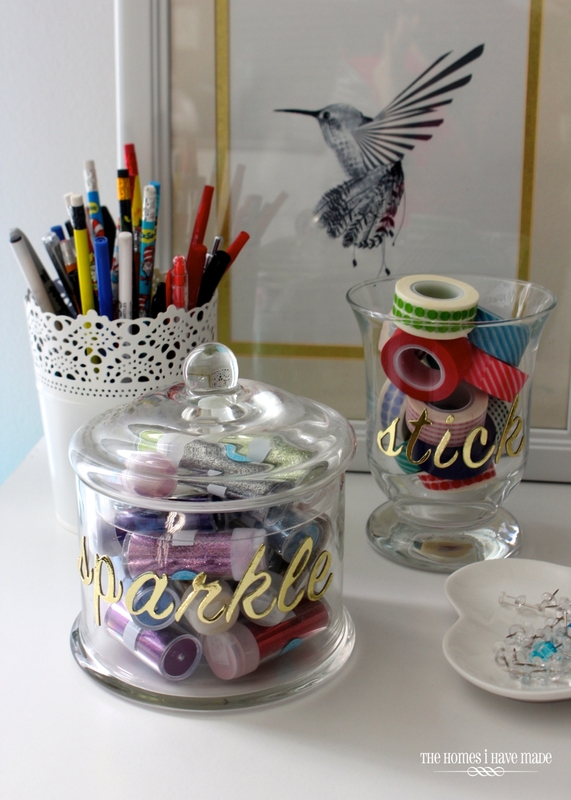 When I was styling our Pretty Printer Station, I really loved the look of some of my craft goodies in clear glass jars. 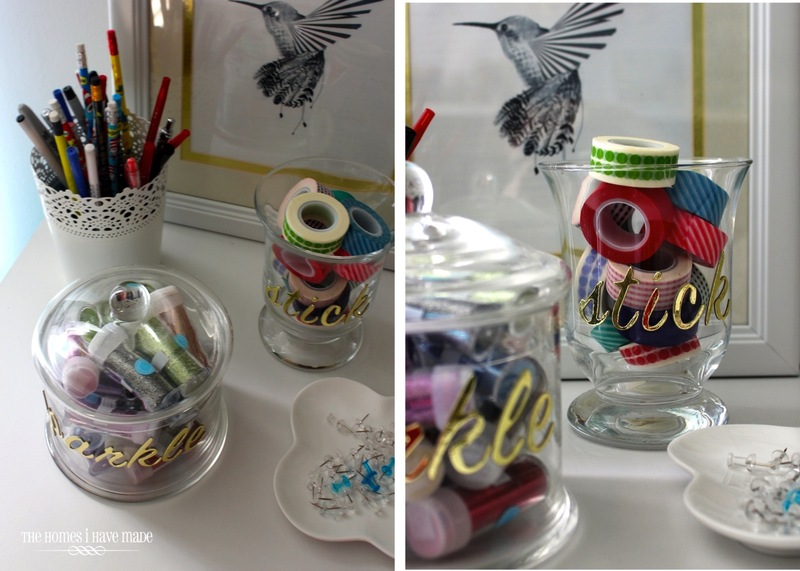 But as soon as I loaded them up, I knew I wanted to make some pretty labels for the jars…just because I like the look of pretty labels 🙂 My mind went racing (as it tends to do), and I was thinking about sticker paper and the Cricut and glue and glitter and double layers and…you get the idea. Before I got too carried away, I opened up my sticker drawer and found these gold “Thickers” I had picked up just a few weeks ago. I bought them because they were gold and cheap, and I knew I’d find a use for them somewhere. When I realized the letters stuck to the glass without a problem, I knew I had my answer. Instead of an hour or so, these little labels took me about 2 minutes tops. 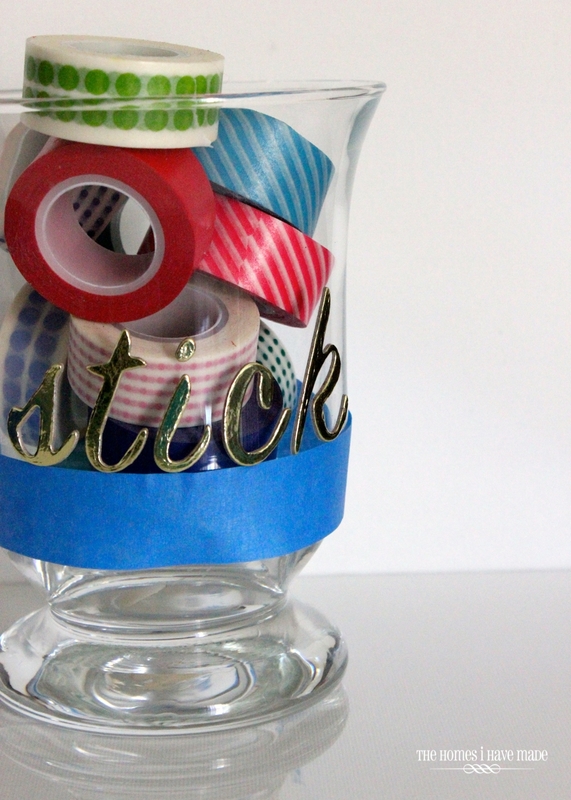 I used some blue painters tape as a straight-line guide, then just evenly applied my gold letters right to the jar. 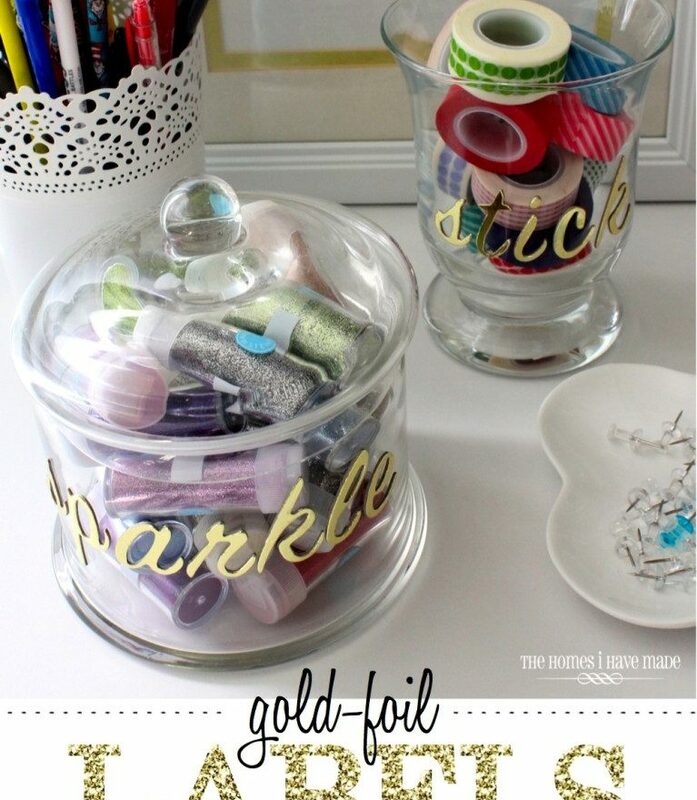 No cutting, no glueing, no glittering. Done! 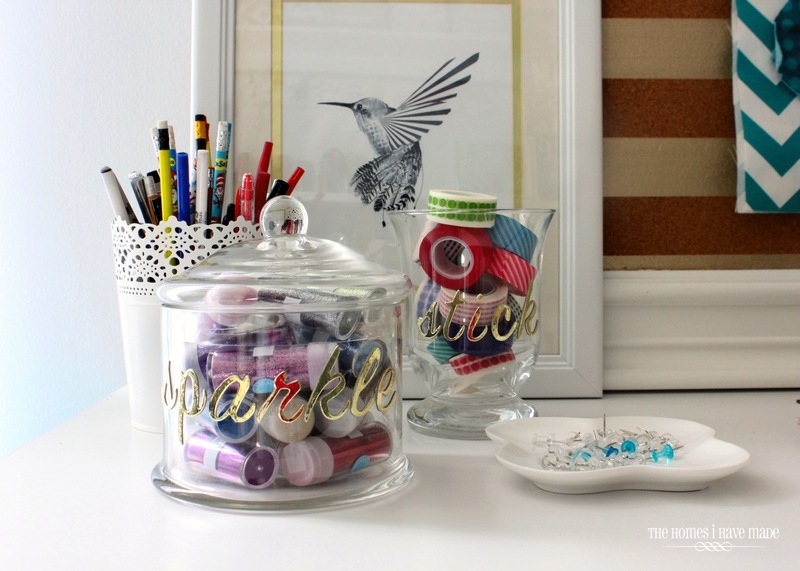 Quick, easy, cheap, and oh-so-chic! 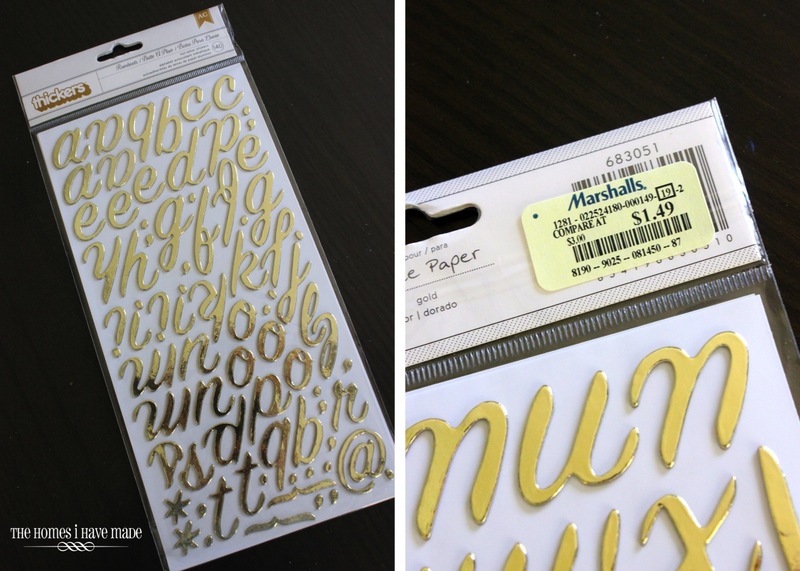 I see these scrapbooking sticker letters in Marshalls all the time, in different colors/patterns/textures. 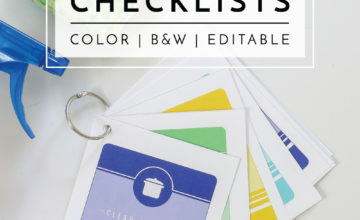 Now that I’ve discovered this fun use for them, I am gonna snag them up whenever I see good ones! I hope you all have a great weekend. 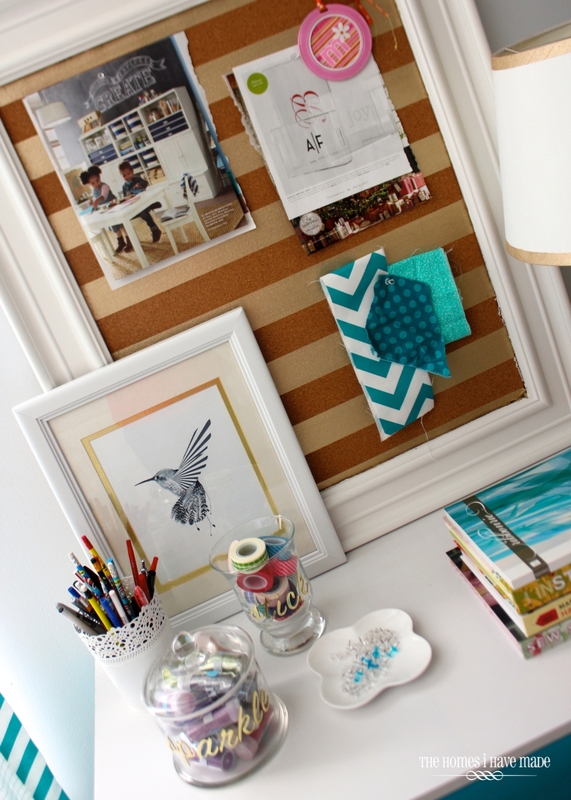 See you next week with a bedroom update and a few tutorials from this pretty office space! See you then!